It's 13 February, Paperchase has run out of decent cards and you've forgotten to make a reservation. Well we're here to provide you with some inspiration to create the most romantic meal of the year and save the day, as well as your relationship. 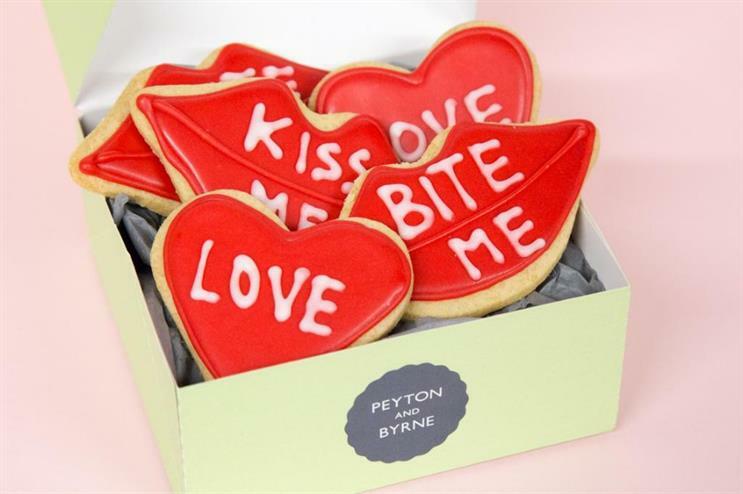 Caterer Peyton and Byrne has forgone last year’s posh jammy dodgers and created a selection of heart and lips-shaped biscuits for numerous ‘love bites’. Its St James’s Park venue Inn the Park is also preparing for an influx of loved-up Londoners at brunch, offering them stacks of pancakes, pulled pork hash with fried eggs and granola with yogurt and berries. Tonight (13 February) will see restaurant Christabel’s host a candlelit workshop on the secret of the edible rose petal, complemented with a host of bespoke herbal cocktails. Those not so satisfied with their love lives are invited to the Hex Your Ex masterclass on 14 February for two hours of voodoo doll fun. The king of gastronomic innovation, Bompass & Parr, is hosting an ‘anatomical whisky tasting’ session at the Ace Hotel Shoreditch on 14 February. Doing what it says on the tin, the experience will see a 25 year-old single malt paired with a 25 year-old performer, a 30 year-old whisky paired with a 30 year-old performer, and so on, until it hits half a century. Bompas & Parr claims the heat of the body will raise the temperature of the drink, showcasing its distinctive flavours. Each performer will be asked to tell their life-story in the amount of time it takes to sample the whisky. 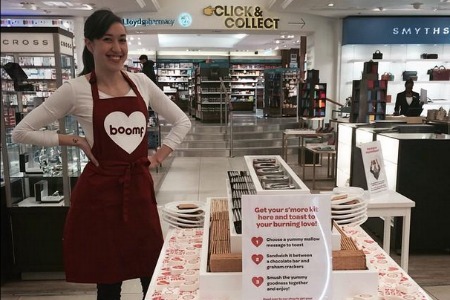 Personalised marshmallow service Boomf is setting up camp in Selfridges London to create campfire-style romantic s’mores – melted marshmallow and chocolate on a cracker. Shoppers will be able to choose a Valentine’s message, burn it over a naked flame and sandwich it between biscuits. The Gordon Ramsey Group is pulling out all the stops at its York & Albany restaurant hotel at the edge of London’s Regent’s Park. Couples can stay in a ‘Lovers’ Hideaway’ after enjoying a four course-meal of celeriac soup, West Mersea oysters, chateaubriand and hot chocolate fondant with salted caramel and raspberry sorbet.